AQC Environmental is the leading provider of board up services in Fort Lauderdale, Boca Raton, and the other surrounding communities. Without question, our part of the country has some fantastic weather for much of the year. However, on the other side of the coin, severe storms are not uncommon. 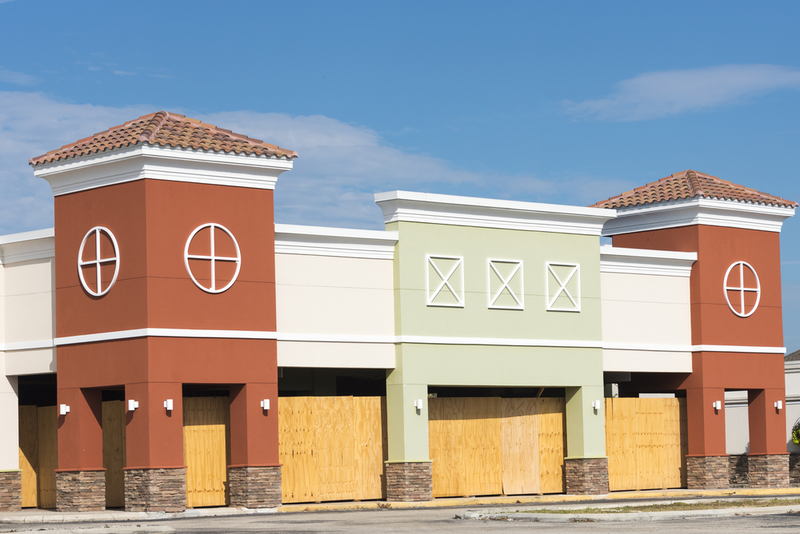 Heavy winds and flying debris can cause significant damage to commercial property like retail stores, restaurants, garages, auto repair facilities, office buildings, etc. It is important to act in advance when there is a hurricane warning in effect. If you engage us to board up your windows and doors before the storm hits, you can go forward with peace of mind. After the high winds subside, we can be called out to remove the protective layer and address any damage that may exist so you can get your business up and running as quickly as possible. Storms are always going to be a threat, but there are other events that can necessitate a board up response. These would include vandalism, vehicle impact, and fire damage. Regardless of the underlying cause, we will always be standing by to help if you ever need commercial board up services. When there are broken windows and/or doors, you need an immediate board up response to protect your property and prevent further damage. This is exactly what you will get if you engage our commercial board up services. We fully understand the magnitude of these situations, and you can rest assured that we will be on the scene in a flash if you need us to board up your commercial structure. Whenever you need commercial board up services, we will be ready to spring into action to keep your commercial property safe and sound. We can be reached by phone at 954-345-5821, and our toll free number is 855-355-DUST.